The League 2 table will start to take shape in the next few weeks, and MK Dons will have three huge games between now and then. After Saturday's trip to leaders Lincoln City, they go to free-scoring Yeovil on Tuesday before hosting Tranmere Rovers a week on Saturday. By that stage, Dons will have played 10 games, and manager Paul Tisdale believes it will give more of an indication of where they stand in the fight for promotion. "The table is starting to take shape," he said. "There will be years when you look at it after seven or eight games and it will look completely different by the end, but it looks like it will be a difficult week for us. Yeovil have had some really positive results this year and have been free flowing, so it will be a test for us. I think this time next week, we will have a good indication of where we sit." 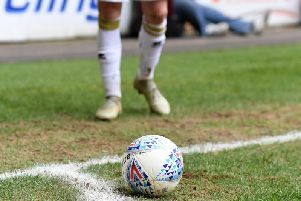 First, Dons face leaders Lincoln City, and it's a place Tisdale is very familiar with, playing there twice last season as Exeter City boss, including a successful play-off semi-final win. He said: "Football moves on very quickly. Last year is last year, we have to navigate every week. They'll be a stern test for us on Saturday. Any game that I've experienced I will use but ultimately it will come down to the 22 players on the day. "They're at the top of the league, the early pace setters. It will be a great atmosphere. It's a really good place to play, they look a productive side already and it will be a good barometer for where we are as a team. They've done very well, made a really good start. I think we'll hear a lot more from them over the years."